to suit almost any process application. Process operations involving liquids contained in tanks and vessels invariably need instruments that provide information about the degree to which the tank is full....how much process liquid is in the tank. It is common to have a need for multiple signals or indicators, utilized in the process monitoring and control scheme for differing purposes. A continuous liquid level signal from a transmitter provides remote indication of remaining tank capacity or a measure of tank contents. Liquid level switches can be wired directly into other control circuits for safety or operational control of other machinery supplying or draining the tank. Local operators can benefit from a visual indication of tank liquid level to verify process step progress. Obtaining all this process related information from the tank can require numerous separate tank connections, fittings and space for service and maintenance access. A good solution is available. 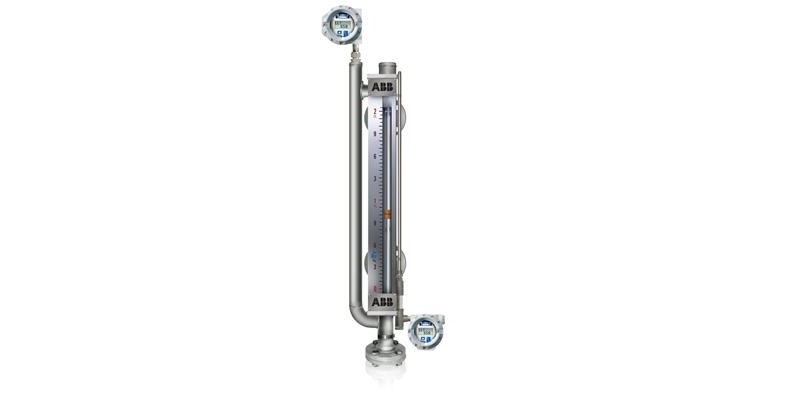 K-Tek, an ABB brand, combines a guided wave radar transmitter and a magnetic level indicator into a single compact instrument with one set of tank connections. The instrument can be custom configured in a number of ways, with accessories that can be added to suit any application. Service valves, additional transmitters, level switches and more can be added to the instrument at the time of ordering to minimize first cost, installation time, potential leak points, fittings, piping, space requirements and more. The datasheet included below provides more detail on the available configuration options, but you should share your level measurement and control challenges with application experts for a knowledgeable recommendation. Combine your own process knowledge and experience with their product application expertise to develop an effective solution. Combination Guided Wave Radar Transmitter and Magnetic Level Gauge from Hile Controls of Alabama, Inc.